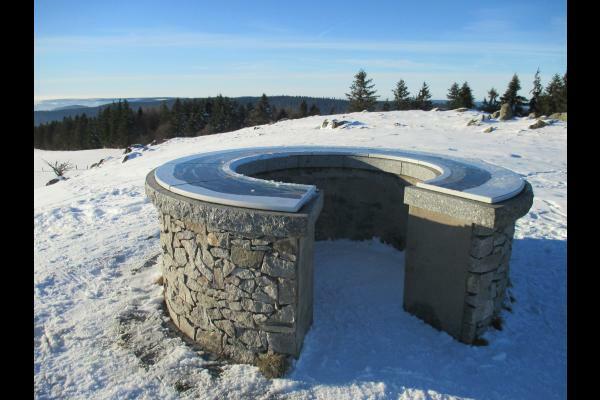 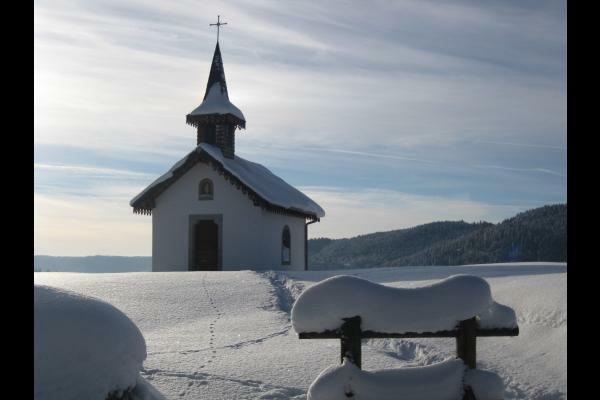 Near the Ballon d'Alsace, between the ski resorts of the "Rouge Gazon" and Ventron. 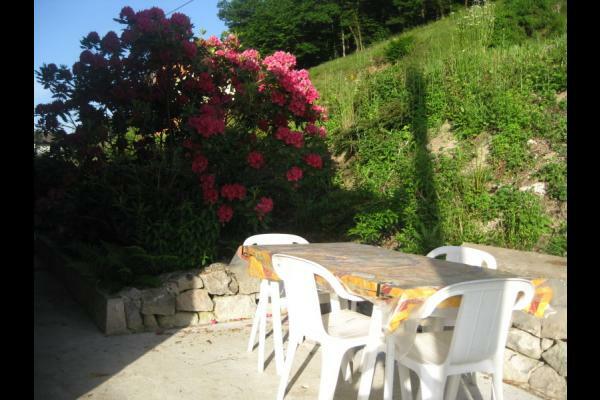 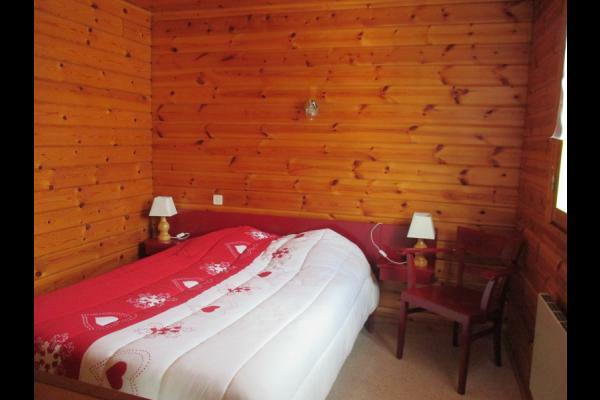 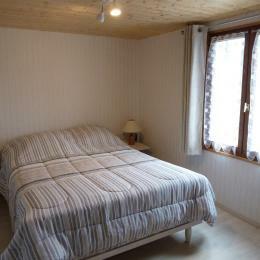 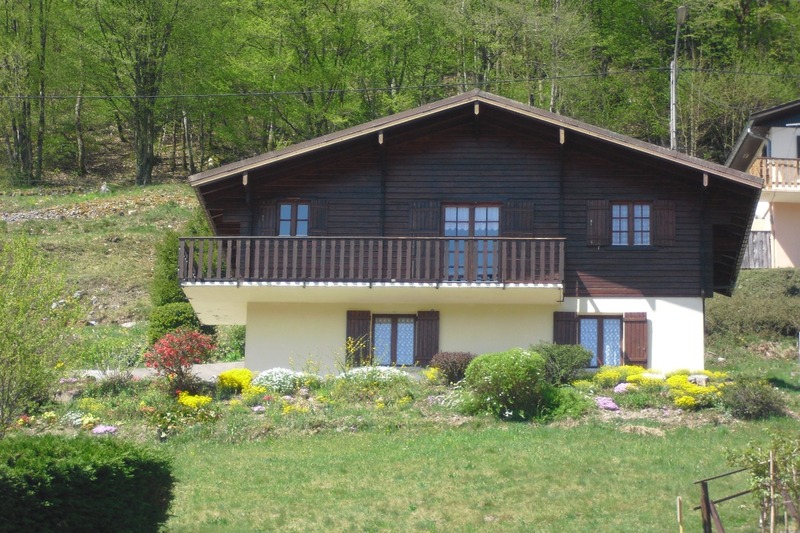 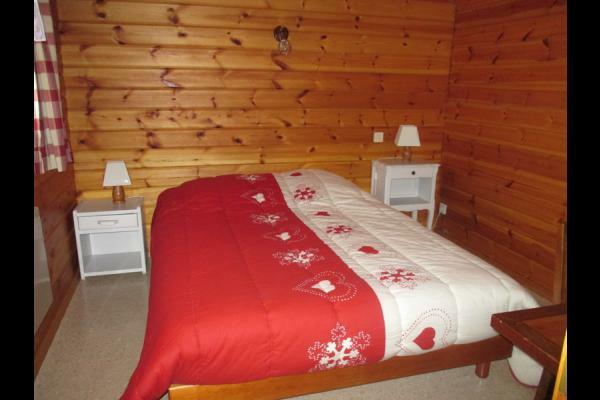 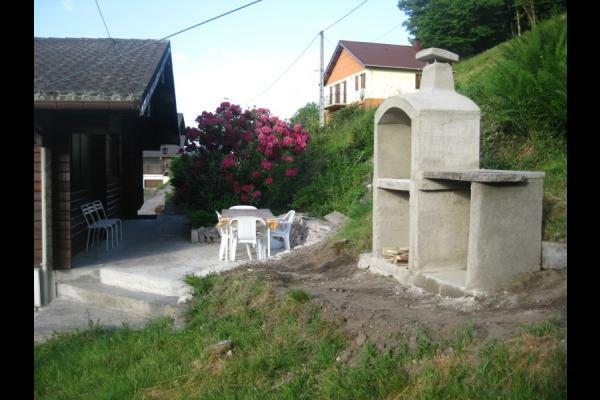 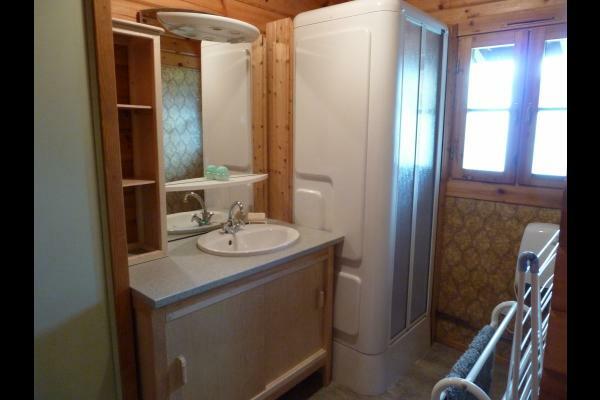 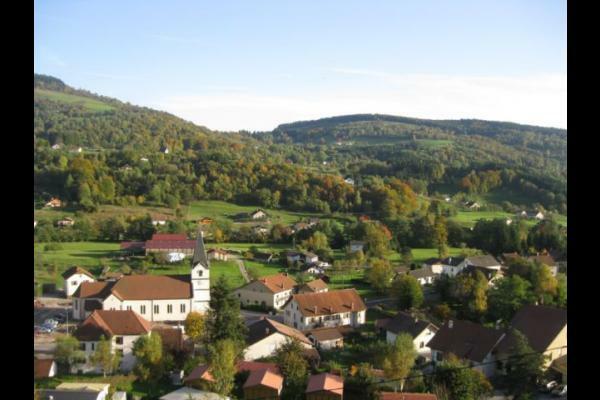 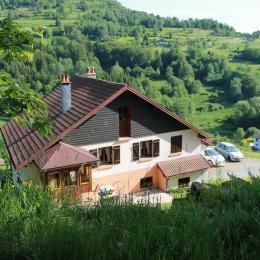 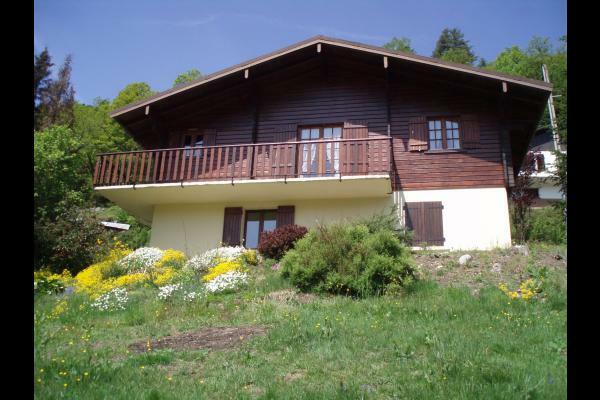 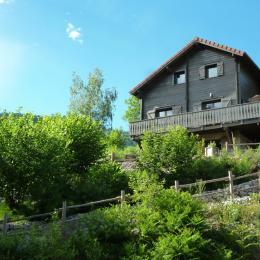 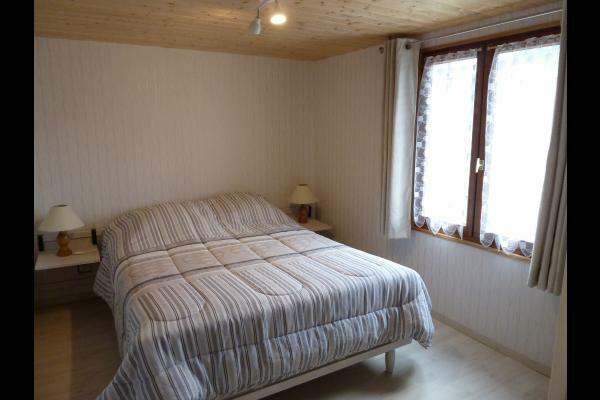 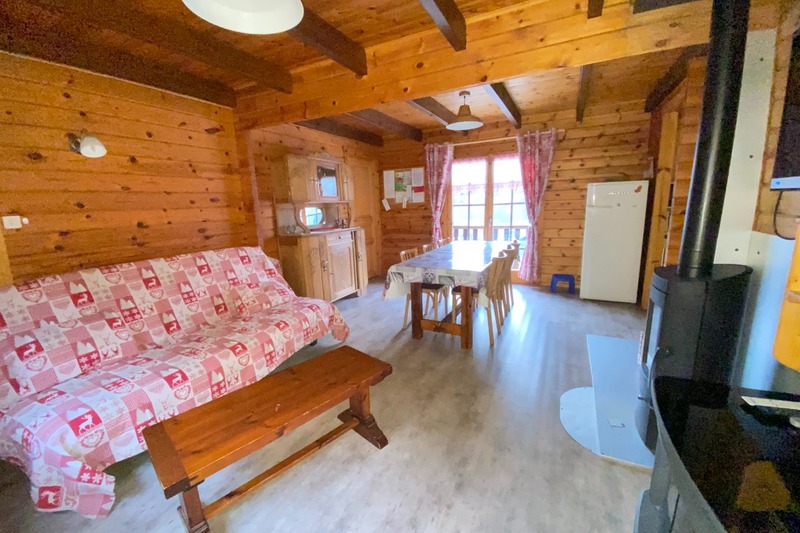 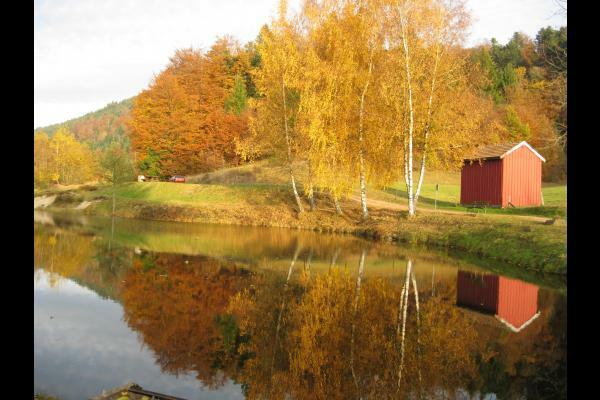 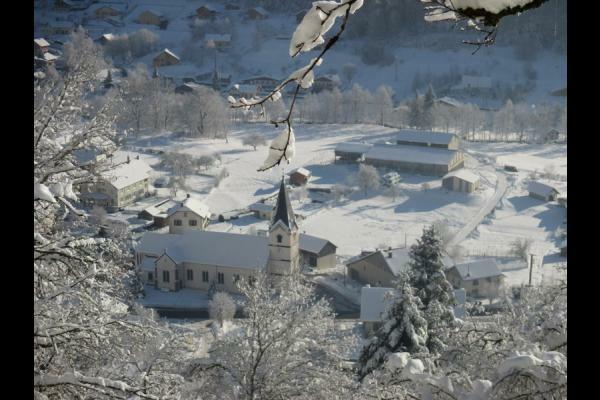 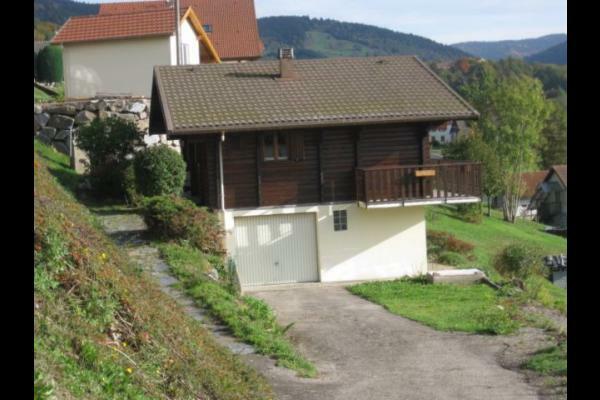 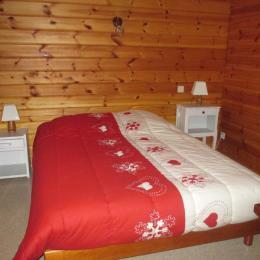 You will stay in a chalet "Les Pervenches" in the small vosgien village, Le Menil. 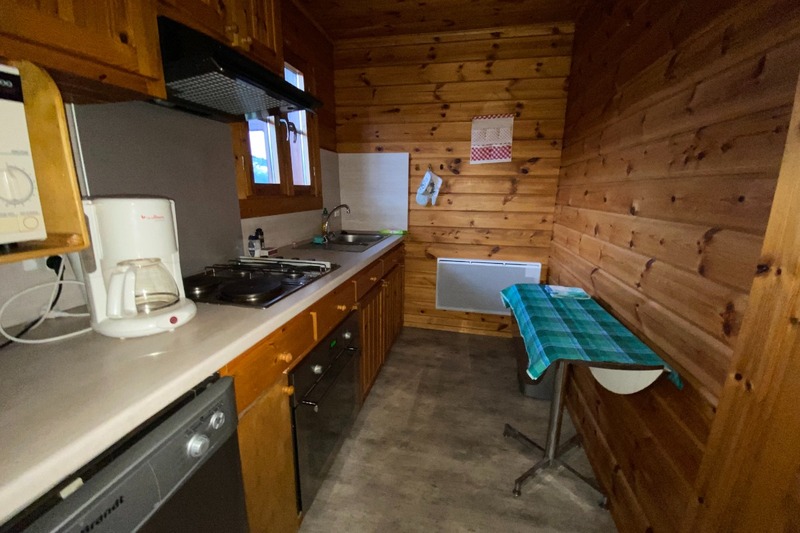 You will enjoy two adjoining rooms in living room with double bed 54" x 75", wardrobe and on the ground floor a third bedroom with double bed 54" x 75" and hanging wardrobe. 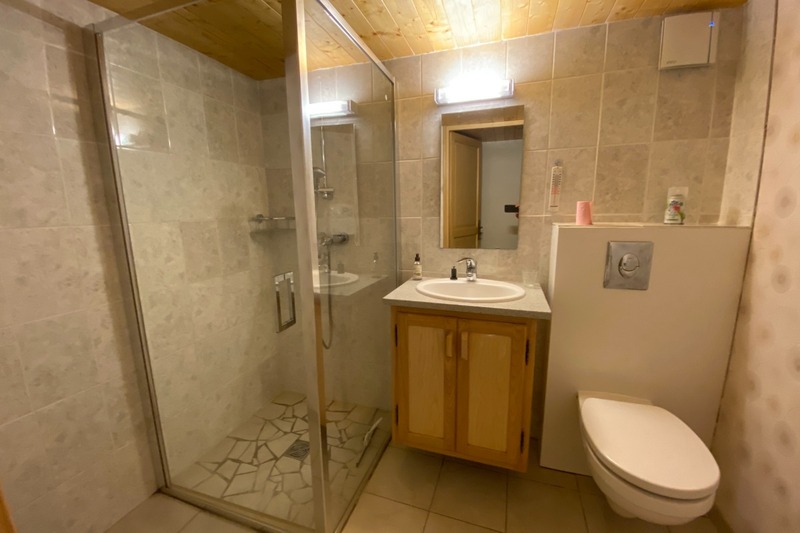 First bathroom on the ground floor with Italian shower, washbasin and toilet and second bathroom with shower cubicle, washbasin and separate toilet. 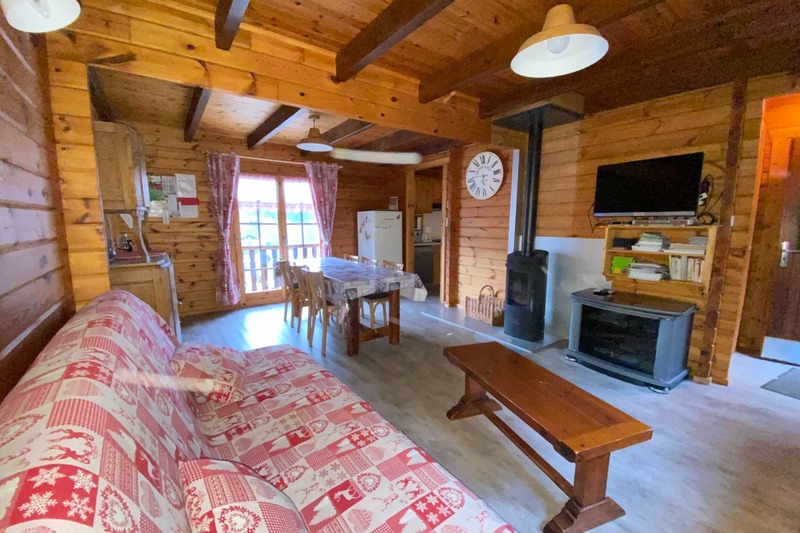 Equipped independent kitchen, and large living room with dining room / lounge equipped with a TV, DVD player and free WiFi access. 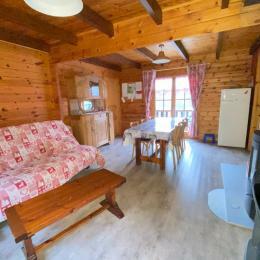 Living room open onto a balcony with clear view on the village and the Massif. 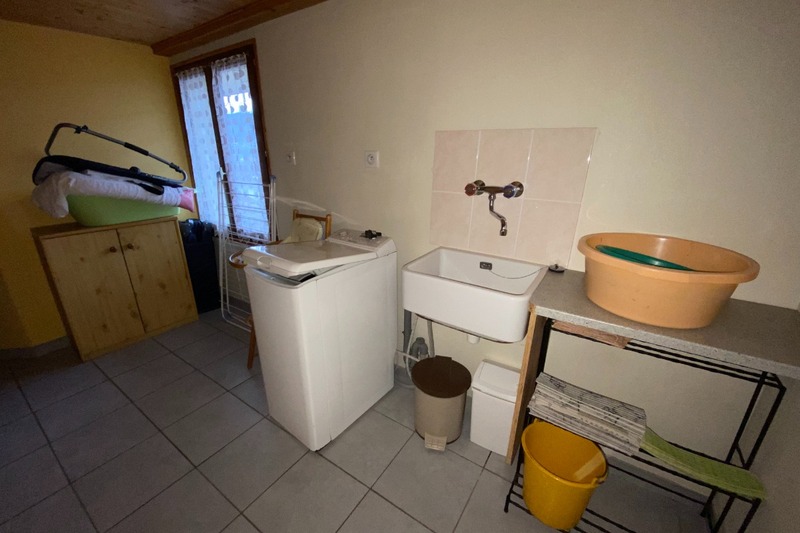 On the ground floor, laundry area with washing machine. 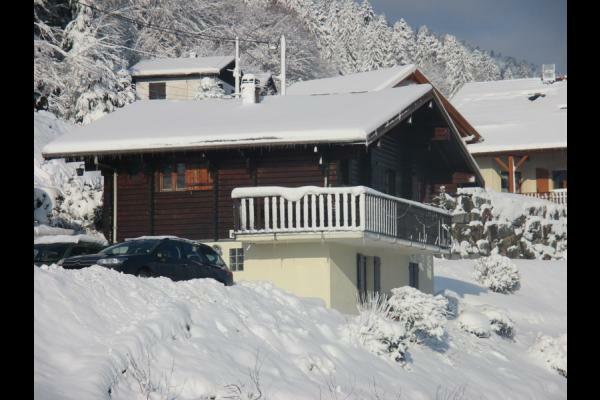 Private car park and garage available.